I have a tendency to photograph what I think of as "intimate landscapes." This gallery is the exception to the rule, featuring some grand vistas of the Great Smoky Mountains National Park. See my daily blog for more Smoky Mountains photos, and please stop in at the William Britten Gallery in Gatlinburg, TN. 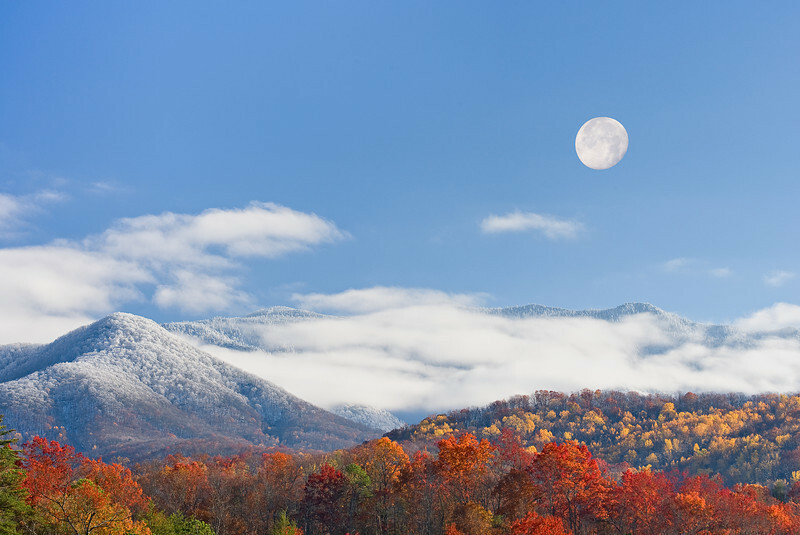 Smoky Mountain Moonrise Full moon over Mt. LeConte in the Great Smoky Mountains. Lots more Smoky Mountains Photos and info over on my blog.